PAST PUPPY PICS - "NEW"
"NEW - MORE PAST PUPPIES"
"UPCOMING LITTERS & WAITING LIST"
Video Taken On the porch of our cabin in Arkansas. AND THANKS FOR VISITING OUR SITE!!! Our Shih Tzus have free run of our home. They are our Babies (family pets) They do not know they are dogs! Shhh!!! Please Don't tell them! 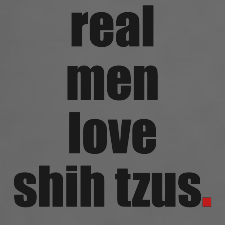 I have owned and raised Shih Tzus for over 30 years. 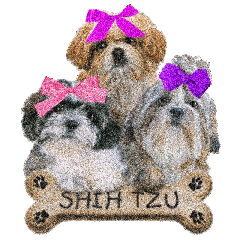 Maybe I am partial to the breed, but I feel once you have owned a Shih Tzu you can't be without one and if you own a Shih Tzu, then you may decide to add another Shih Tzu to your family. As a friend once put it "Shih Tzus are like Lays Potato Chips you can't have just one." All my puppies are hand delivered. I have spent many a sleepless night over the years waiting on a litter to be born. The babies are raised in my home where they get lots of love and attention and are well socialized. I breed the smaller sized Shih Tzu. The average adult weight of our puppies is in the 6-8 pound range, with some weighing a little more or less. I breed my babies for good health and loving dispositions. Please do not copy any of the pictures or content of this website without permission! these babies have all been adopted! 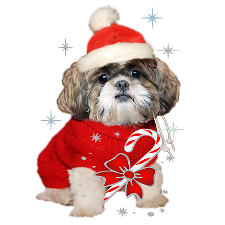 The Shih Tzu is a very Loyal and Loving Pet! They make great pets for children and adults alike!